Lunch time….it’s the time of the day where you mentally roll through the menus of all the local eateries to decide what will match your craving. For me, a heavy lunch is never ideal with a half day of work ahead. So unless I’m looking to induce a food coma before 5 p.m., I like to stick with something light that does not sacrifice flavor for size. Luckily, our friends from at Mezzo Italian in Historic Dublin have crafted a brand NEW lunch menu with myself and fellow mid-day cravers in mind. 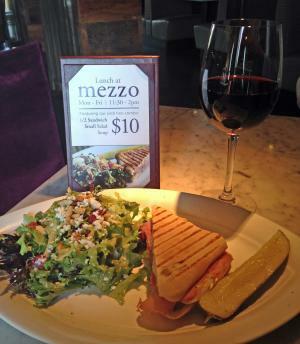 Monday through Friday from 11:30 a.m. until 2 p.m., Mezzo opens its doors to the lunch crowd and offers the ‘”Pick Two Lunch Special” offering customers delicious options such as fresh salads, soups or half paninis that will not disappoint. I was ecstatic to see this option and even more delighted to see my favorite panini (Rosemary Ham & Brie) was included in this perfectly portioned menu. Just when you thought it couldn’t get better, it’s only $10. 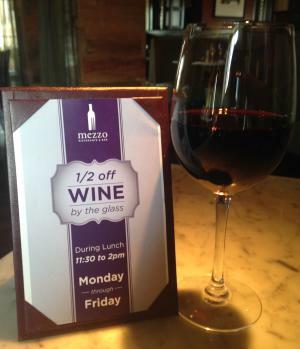 If you’ve never experienced Mezzo, they are known for their wide selection of fine wines. So to put the cherry on top of this lovely lunch menu, Mezzo has added ½ off wine by the glass during lunch. Why not enjoy their best commodity while in for lunch? When you dine in at Mezzo for lunch you’re sure to have a marvelous experience. 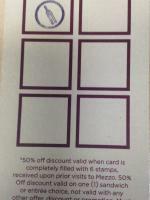 Before you leave to go back to your daily duties, be sure to get a stamp on your lunch loyalty card that offers 50% off any lunch or sandwich entrée once you’ve collected 6 stamps. So ditch the sack lunch or microwavable meal you eat at your desk and head to Mezzo for great service, delicious food and awesome deals.